If you believe, like us, that an injustice is taking place in Israel/Palestine; that you want to try to make a difference – to be part of creating a just peace, that peace will only come when the rights to self-determination and equality is recognised for both peoples – then join us! Help us to share our analysis; campaign for a just peace; support and organise international speaking tours for important Israeli voices from the Israeli peace movement and organise political tours in Israel/Palestine. You have chosen to donate £10 monthly. 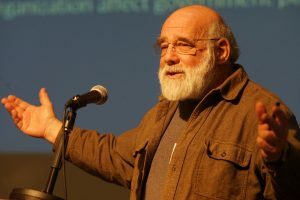 ICAHD UK continues to “punch above its weight” on the back of analysis from Jeff Halper and others and its unique activism and because of the extensive networks that ICAHD UK has been involved since its founding in 2004. In the deepening struggle for peace with justice in Israel/Palestine, it’s vital for critical Israeli voices to be heard in the UK. Since its founding in 1997, ICAHD has been on the cutting edge in providing political analysis about the reality on the ground. Over the years its views have been sought out by the media, diplomats, politicians, peace activists and religious bodies. ICAHD is one of the few Israeli peace and human rights organisations with ECOSOC status at the UN, which allows it to submit oral and written reports and participate in a wide range of UN activities. As a political NGO we are not eligible for charitable status, therefore raising funds to continue the important work we do remains a constant challenge. With members’ subscriptions, we gain the regular income we need to plan our work effectively. Members are the life-blood of our advocacy work and campaigning. To enable ICAHD and ICAHD UK to do much more, more supporters are needed. “We think, as Israelis, that Jews and Arabs should live together.